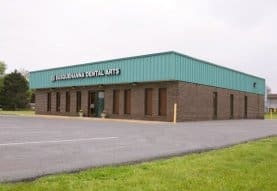 “Welcome To Susquehanna Dental Arts! At Susquehanna Dental Arts, we realize that finding a dentist that suits your needs is no easy task. Likewise, we stand committed to offering each patient the care that is expected and the comfort of knowing they’re in good hands with Dr. Owen Allison. With his friendly team, Dr. Allison knows that dentistry is about two things: relationships and health. When you visit our office, every effort will be made to place you with the same hygienist, and you can count on Dr. Allison to not only be your dentist, but your advocate in recommending the best and safest treatment possible. In choosing to refrain from the use of toxic dental products, Dr. Allison has raised the bar in dentistry to bring the absolute best care and service to clients of all ages. There is an assortment of dentists out there, but few subscribe to a high standard of excellence in procedure, policy and education. Dr. Allison strives to attain this standard, while leaving a legacy of health and restoring faith in the dentistry profession as a whole.